“Apocalypse Now is not about Vietnam; it is Vietnam.” So says legendary Francis Ford Coppola. As years roll by and great films turn into classics, certain classics become epic by proportion. 35 years later, Apocalypse Now is such an example. How many times have I watched it? As a movie buff, it’s all too easy being an armchair critic and picking about this and that. What’s truly amazing is witnessing how a film is made. Haven’t we all wished we could make a film? When you see what filmmakers have to go through to create art, it is humbling and we should cut them some slack. Since its 1979 release, Apocalypse Now has been revered by many as the Vietnam film from the last 35 years. Francis Ford Coppola invested all his money on the project and brought his wife Eleanor, Sophie, and her two brothers to experience the journey down the river into madness. Based loosely on Joseph Conrad’s Heart of Darkness, the story is a classic tale about man’s search of good vs. evil within. This was the premise behind the film, too. Captain Willard traveled down the heart of the river to face and assassinate Col. Kurtz played by Marlon Brando. However, the fascinating part of the film was not the film at all. It’s how Coppola made the film. Francis Ford Coppola was a disorganized, egomaniac and his 238-day shooting schedule, spread over 16 months, was a venture pressing the limits of sanity. Typhoons wrecked the set. Martin Sheen had a heart attack. Filmed in the Philippines, military choppers “rented” for the film by the government left during the middle of shooting to combat rebel insurrections. Marlon Brando had not read the script nor the novel and did not know what to do. Dennis Hopper was as crazy as his sycophant photojournalist. Cast members were snorting, drinking, smoking, and swallowing whatever they could get their hands on. Coppola, coming down from his high from the Godfather I & II films, was Kurtz. Who chronicled the sixteenth month ordeal? His wife, Eleanor Coppola, who was asked by her husband to videotape and create a documentary. Their California Victorian in Napa Valley and all their money was fronted as collateral. How was a landmark film such a cluster mess? How was one of the more revered directors at a loss how to end the film? What was his epiphany? I won’t tell you. I highly recommend the documentary Hearts of Darkness (1991) with a CODA: 30 Years Later, all footage and writing done by Eleanor. The Coppola’s have been married since 1963 and her insight as a witness to the filmmaking process, invaluable. I can’t imagine being married to Coppola. She is an extraordinary woman. What are your favorite scenes from the movie? This sequence was one of the hardest sections of the film to orchestrate. Robert Duvall seared his performance into my mind and heart. Lt. Col. Kilgore is one of the most compelling characters in cinema. Harvey Keitel was initially selected and then dismissed after filming. They brought in Martin Sheen to play Capt. Willard. Coppola’s style toward his actors was to give suggestions on cards of the filming for the day and allow the actors to improvise. On his 36th birthday, Marty was so drunk, they filmed him in the motel room and the flooding of emotional breakdown was real. They needed a scene which showed Capt. Willard suffering and therefore able to kill Kurtz. The scene with him rising up out of the river and the sacrifice of the Ox and Kurtz was beautiful and disturbing. Marlon rambled on and FFC picked out the best ramblings for the film. What are they gonna say? That he was a kind man? That he was a wise man? “This is the End” by The Doors was a masterstroke to play for the climax of the film. The film teased and built such tension that when the end did come, it was the grand ending Francis Ford Coppola had been looking for. Do you like Apocalypse Now as much as I do? What are your favorite scenes? Have you seen the documentary? It’s fantastic. Hi Cindy! I’m not generally a fan of war films so I haven’t seen this one. That said I might give it a shot at some point. Interesting trivia here too, fascinating stuff. Thanks, Ruth :). You might find 14-year-old Lawrence Fishburne a treat and a young Harrison Ford in a bit role a surprise. Honestly, you would enjoy the documentary more. The history behind the making of the film was quite fascinating and you can bypass all the “horror”. Harvey Keitel as Captain Willard? Maybe, just maybe, I can see Harvey Keitel as the Chief running the boat, but with him as Captain Willard . . . . . Whoever thought of that would have also cast Kevin Costner as Lt. Col. Kilgore. According to the documentary they didn’t say why they removed him from the roll. It was a sudden decision after a few weeks of filming. Ouch to Harvey. Martin was perfect. At times sweet looking, yet touch enough to be mysterious. I loved his voice as narrator. While I can see Harvey at the help of the boat, Coppola’s decision to have Albert Hall was much better. 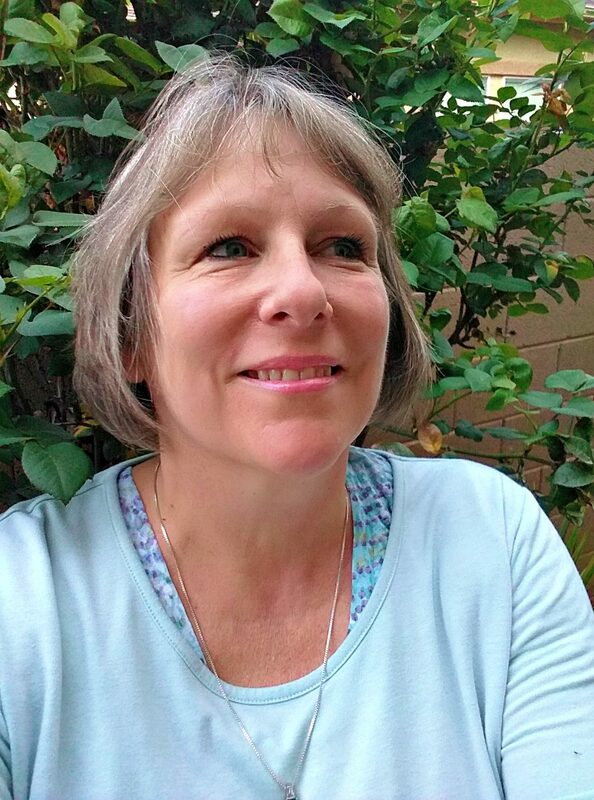 Very engaging article Cindy. I really admire Apocalypse Now but haven’t seen the making-of documentary, will be sure to check it out when I get the chance. The set sounds like it was a madhouse! This is my favorite movie of all-time (as my gravatar picture suggests). I just love every moment in Apocalypse Now: the opening set to “This is The End,” the helicopter attack, and the haunting conclusion. Hearts of Darkness is also a fantastic documentary. I’m so happy you stopped by; I was going to nudge you to comment because I am aware of your gravatar and your love for A.N. I’m glad you liked the doc as much as I did. It seems like FFC made it up as he went along–I love the story behind Brando and the ending. Imagine having all the time and $ invested and not have your star know what to say or how you want to end? In the end, it was Eleanor who saved the day by observing the OX ceremony it gave Francis the ability to “see” his ending. 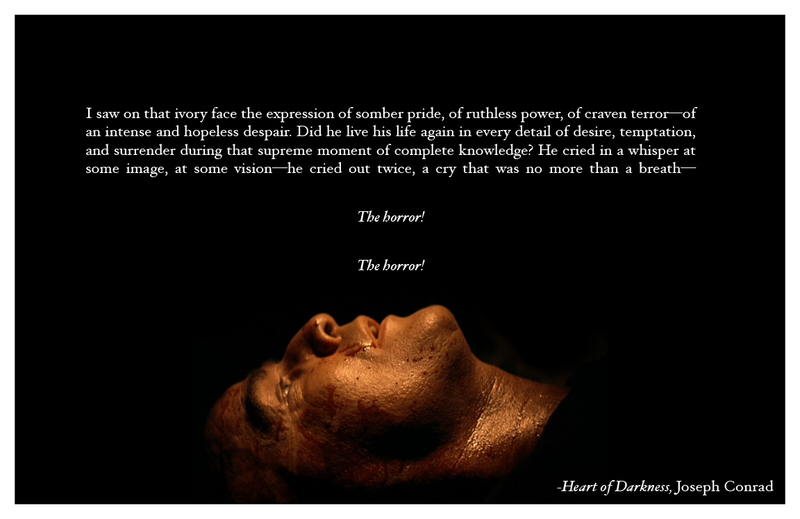 ‘Heart of Darkness’ is a superb stand alone film that shows the wear and tear and strain of high stakes film making. Especially when Coppola was being hosed by the Marcos regime at every turn in regards to helicopters, extras and a monsoon that nearly wrecked Kurtz’s upriver village. 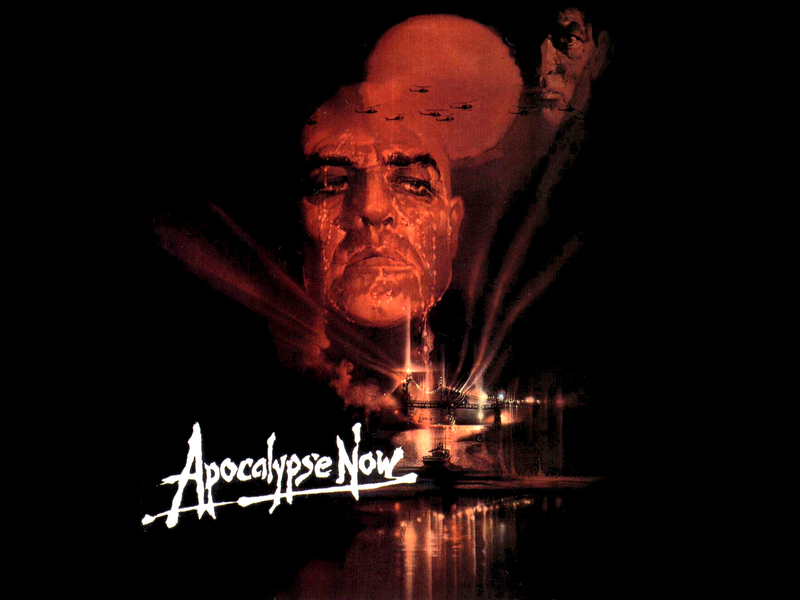 Personally, ‘Apocalypse Now!’ is more of a pastiche than an honest to God war film. Though a great one! With many great cameos, spoken lines and use of music in key scenes. I caught its premiere at the Uptown theater in D.C. And was blown away by the since edited out slow motion Arc Light Strike on Kurtz’s village during the film’s closing credits. More’s the pity. I also have the film’s hand out pamphlet. the bombing over the closing credit not edited out…..it was removed after having been ‘edited in” to the 35 mm version. the original 70 mm print had no credits on the screen. they were handed out in in print form to the ticket buyers. the strike sequence and closing credit utterly destroyed the spooky mood of the original ending, and im glad it has been discarded. ive only seen this movie once. it is NEVER shown on tv. NEVER. they show other movies at least a hundred times … maybe a thousand. but some … they never show. is it dangerous? contagious? ? ??????? i do remember not really liking it all that much. but i could see how it got its .. reputation? Watching Apocalypse Now on a normal television monitor without an adequate sound system is a disappointment. The background sounds in this movie, i.e., helicopters, etc. are an integral part of the experience. Thanks, Mark for commenting. Yeah, the switch to the native encampment and Brando’s lethargic deliveries and Williard’s preparation was electrifying for me. I loved how the movie had a definite twist in mood. The natives, the heads, the green fog, the photojournalist, was quite full of suspense. It magnified Kurtz and raised him up on a platform above all the other scenes and ensemble characters. Maybe that’s why you thought it lost momentum? Because it slowed to focus on Brando? Here we were traveling and traveling down the river waiting to get there.And now we arrived. The only question left is: will and how will Willard kill Kurtz. The Doors music totally enhanced the final scene. Gosh, I thought it spectacular. I finished reading this post and only said, “WOW!” I had no idea about all this. I’ve seen the movie a few times – but now I HAVE to look for the documentary! Lots of great stuff here, no doubt, even if I don’t love it as much as many. My favorite scene? Definitely Duvall’s. He’s brilliant. And the story of how this thing got made has to be part of the reason it’s become an icon, right? You need a revisit. It’s too cool. Great post Cindy and the Heart of Darkness doc has been on my list to see for ages. That said (and don’t kill me for saying this) but Apocalypse Now frustrates me to death. I’m not a fan of it. For me the film’s strongest is its middle and Duvall is the best thing about it. I didn’t care for how it starts and I really disliked the last act. I know it is highly revered among almost every movie fan but I have never connected with it. I actually think the making of it sounds more fascinating. I’ve gotta see Heart of Darkness. Great post, the filming of this movie seems to be just as interesting and riveting as the movie itself. Thanks, Vinnieh. The added dimension makes it even more intriguing, you are right. FFC could have retired then and there. You won’t believe this, but I didn’t watch this film for the first time until a few months ago. However, it was SO fantastic, that I didn’t dare write anything about it on my blog! (Especially since I haven’t read “Heart of Darkness,” so there was a whole layer of meaning that I was missing out on). Great write-up, and I didn’t realize the movie was this difficult to make! Though I have to say I’m not surprised that the chopper scene on the beach was a nightmare to coordinate. The price one pays for art. It makes me realize how difficult making a great film is and forgive the ones that seem to have potential and great casts but something goes awry and it falls flat. Am yet to watch ‘Apocalypse Now’. People faced such hardships to make good movies those day. Thoroughly enjoyed reading this. 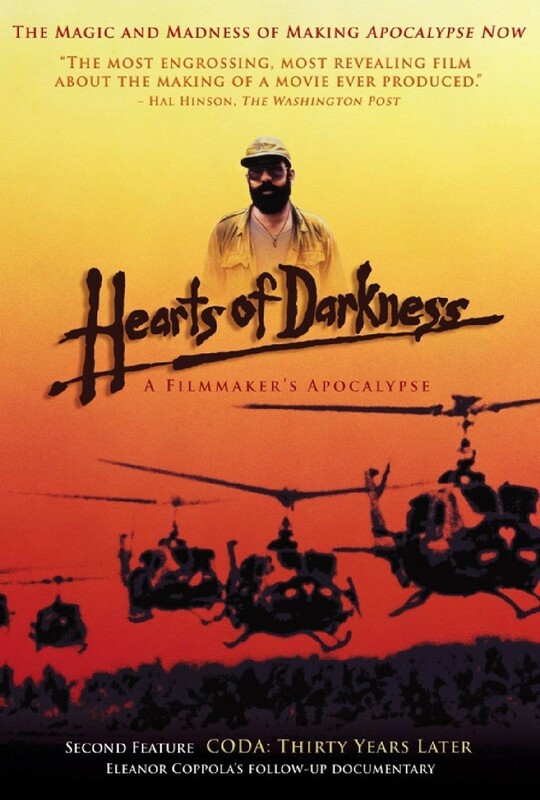 Am also keen on checking out the documentary ‘Hearts of Darkness’ now. The process of making a film is as mind-boggling as writing a novel. I’d bet two bits you would appreciate the doc. I saw this on its first day of theatrical release, and at least a dozen times in that 70 mm presentation. then another dozen or so in 35 mm in rep houses. Just got the blu ray a few days ago and the movie haslost nothing over time. it is one of the few masterpieces of 70’s american cinema, due as much or more to the work of the director of photography as coppola. i was imagining how bad keitel would have been as williard. sheen’s underplaying was so chillingly effective. and what if a normal actor had been brought in to play kurtz? what a terrible thought. brando has more primordial instinct than any other american actor. simply brilliant. coppola lost his nerve and verve after this and one from the heart, but those two movies, along with the godfather trilogy, are enough to earn our reverence. i dislike the documetaries because, in showing only the surface of the production, are condescending and do not understand the nature of creating a true work of art. they leave you thinking the good stuff came about by accident. it didnt.